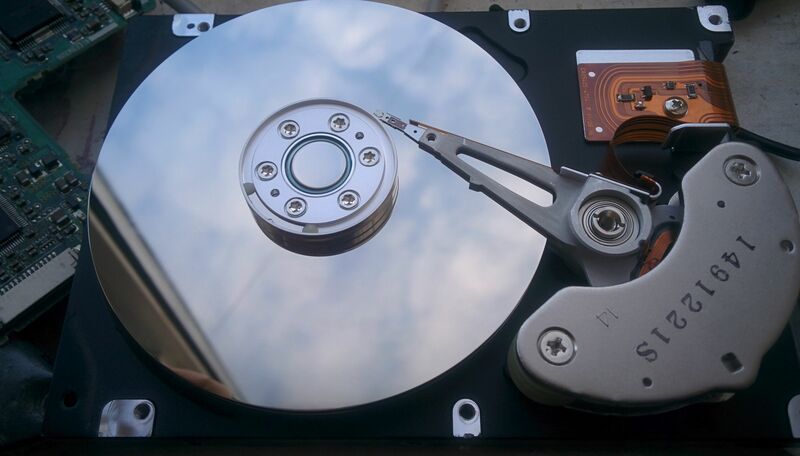 All HDDs approach the problem of "fast, cheap, good, pick two" differently. Rarely, very rarely, we get all three. Usually, just two, but all too often, just one. Sometimes, none. IBM's infamous 75GXP, for example, was fast, but neither cheap nor good. Over time, all HDDs become faster. As HDDs inexorably become larger, the sectors are smaller and closer together, so even if the same linear distance of platter spins beneath the head in a given time (same rotation rate, such as 7,200 RPM), that same distance contains more data. We call this areal density. It has a minor impact in performance, and most often when dealing with linear accesses to very large files, those measured in megabytes or more. The key of all HDD performance is access time. We can predict this using head sweep parameters, or we can just measure it using random read access times. It is made up of two distinct measures, both of them are an average. The first component of access time is the seek time. This is how long it takes the head to get from where it is to where it needs to be. If that's just the next track, seek time can be very low, around 1 ms. If it's all the way across the surface (a full seek), it can be very high, 10-20 ms. Typically, seek time is half of full-seek, but not always. Some drives don't do exact seeking and may overshoot or undershoot, then read the track ID, to work out where they are, then move the shorter distance to the desired track. These drives can actually be faster, because they don't need to do a precisely controlled seek, they can just fling the head as fast as possible. This is always given as the average, which is half a turn. When the head arrives at the right track, chances are that the sector it needs is quite a distance away from the head, so the head has to wait for the sector to arrive under it. It's predictable and related to the spindle speed. Spindle speed divided by 30 to give half rotations per second, then inverted (1/x) to give time per half rotation, in seconds. Average seek plus rotational latency gives access time. A fast 7,200 RPM drive with a 10 ms full seek will have a rotational latency of 4.17 ms, a seek time of around 5 ms, so a total access time of around 9 ms. This would be extremely fast, but we've seen drives achieve this in real life. Sometimes, a drive vendor will quote "access time" figures which are absurd, like Seagate's ST1800MM0128 10K SAS Enterprise drive, which quotes 2.9ms access. This is below the 3.0 ms of rotational latency at 10K RPM! The figure being quoted there is probably the average seek performance, and usually that's measured as a half-seek. Real seek time would therefore be around 20% more than the 2.9 ms (so call it 3.1 ms) and with the rotational latency added on: 6.1 ms, a much more reasonable figure. These have been around since the late 1990s as Seagate's Cheetah 10K drives. Western Digital got in on the party with the small Raptor (later VelociRaptor) drives. These reduce rotational latency, but due to the air resistance of the rapidly spinning platter, they run very hot. They also require very well balanced platters to minimise vibration, and sturdy heads to withstand the generated airflow and temperatures. Some drives have "Automatic Acoustic Management", or AAM. This splits seeks, slows maximum head traversal rate, to minimise the clicking or buzzing noise the head makes while moving. It also dramatically reduces seek performance. A Hitachi 1 TB unit sitting around averages a quite poor 15.3 ms random read access time with AAM enabled, but a very good 12.4 ms with it disabled. It's best to disable this if performance is something one desires. The access time of an SSD is so small it might as well be zero. Even a very slow, poorly implemented SSD has an access time well below 1 ms. Their access times, being so low, expose overheads which other drives can safely ignore, such as command processing time, controller latency and filesystem overhead. These are all measured in microseconds, which is a thousand times smaller than a millisecond, but an SSD's access time is also measured in microseconds and the combined overheads can be a significant part of the overall access latency. SSDs started on the SATA interface and AHCI command set, both of which were developed for hard drives, and not optimal for SSDs. SSDs work best with large command queues and high parallelism: AHCI offers only a single 32-object command queue and parallelism can't be done. High end, even some mainstream, systems as of 2018 are using the M.2 interface and NVMe command set. NVMe minimises command processing time and controller latency, while offering block modes suited for NAND-based storage. NVMe offers almost zero-cost parallelism and 65,535 command queues, each of which can be 65,535 deep. 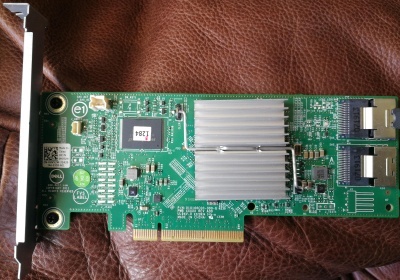 Add-in ATA-RAID cards were fairly popular between 1999 and 2004, Promise and Highpoint quickly scooped up major design wins from almost all motherboard manufacturers. While the RAID functions were host-based, the other reason many sold was simply to add more ATA channels. Highpoint's HPT370A controller was supported across the board, from archaic Windows95 all the way through to the latest WindowsXP, Linux, BSD and so on. It even works without a hitch in Windows Vista. It was built into most Abit '-RAID' variants and was generally seen as a solid solution as well as a low cost one. 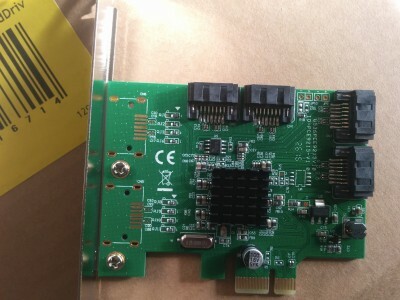 The HPT370A controller and a simple BIOS EEPROM are all that make up the logic on this card. The BIOS wasn't even necessary if the user never had an intention of booting from the controller. Seagate's U series had always been, to put it simply, crap. They weren't unreliable or horribly slow or anything, they were just too 'consumer'. They had mediocre speed, mediocre seek time and were generally all-round mediocre, the sort of thing you'd expect to find in a Dell. In the "fast, cheap, good, pick two", Seagate went for "cheap and good". Later, around the time of the U9, U10 and U11 they'd go with "cheap". In the PCB shot, this drive has its "SeaShield" rubber housing removed but it's replaced in the top shot. Seagate knew that most HD damage was done on the route between factory and user so they added the rubber casing to protect the disks from damage. It worked; With a much lower failure rate than other vendors, Seagate were able to drop prices on most of their range. For people just wanting a cheap, giant bit-barrel (who exist in surprising number), the Seagate U series was ideal. Such people do not want stellar performance, they just want a lot of gigabytes for runtime storage without having to sift through a stack of DVDRs as tall as they are. This 10GB U5 was bought for just such a purpose, it being the second drive in a system which had outgrown its 4.3GB Fujitsu. The drive controller (largest IC) in this unit is a MB90255A, manufactured also by Fujitsu, a 16 bit microcontroller of the F²MC family. Fujitsu's microcontroller divison was sold to Spansion in 2013, and little documentation is available for these older parts. The smaller two-row chip near the ATA connector is the firmware, a STM M29F102BB, 1 Mbit (64Kb x 16) flash memory. Next to it is the DRAM, used for firmware scratch and drive buffer, an OKI M54V24616, a 4 bit 10ns SDRAM (66 MHz CL2, 100 MHz CL3). The chip with the heatsinking (large contacts) has a scar on the top of it - burn damage - meaning it's likely a power regulator which died in the line of duty, a very common failure mode from 1995 until the SATA power connector took over, and was usually caused by hot-plugging the drive's power connector. The final semiconductor component is a Cirrus Logic SH3512, a PRML signal processor (known as a "Read channel") - so the bit that reads from the drive heads. Fujitsu drives were always reliable enough, but much, much slower than they had any right to be. You'd look at the RPM, 5,400 in this case, and the seek time (9.5 ms) and have a good idea of how well it'd perform. Both were fairly middle of the line in 2000, but like with previous mechanisms, the MPE3173AE plain underperformed. It always felt slower than it should have been. The drive was rated for 15 ms access time (seek + rotational latency), but usually performed around 18 ms. 18 ms is on the slow side of things, but not horrible. Transfer rate was about 20 MB/s at the start and 8 MB/s at the end, again not horrible. In use, however, Fujitsu drives would form a little cluster below everything else in things like ZDNet's Winbench and other tests which measured application loading time. One can only presume either awful firmware or a badly implemented ATA interface. Ah, a company trying to be something it isn't. Maxtor had always been regarded rather like Seagate's U series (above), mediocre acceptable junk. With the D740x, Maxtor were attempting to fly with the big boys. The seek performance was exceptional (fastest ATA drive on the planet on release and still, 7 years later, able to compare with modern drives on a level playing field), the data transfer rate was good, so where was the catch? With Maxtor there had to be a catch. The downside was that the D740x did not use fluid bearings and, at 7,200RPM, not using fluid bearings gives you "audible feedback" or to put it more bluntly "a goddamned whining noise". D740x drives were very, very whiny. Reliable enough (this one was killed by a faulty PSU, but still 'worked') but oh so incredibly noisy. We can't entirely blame Maxtor, however. 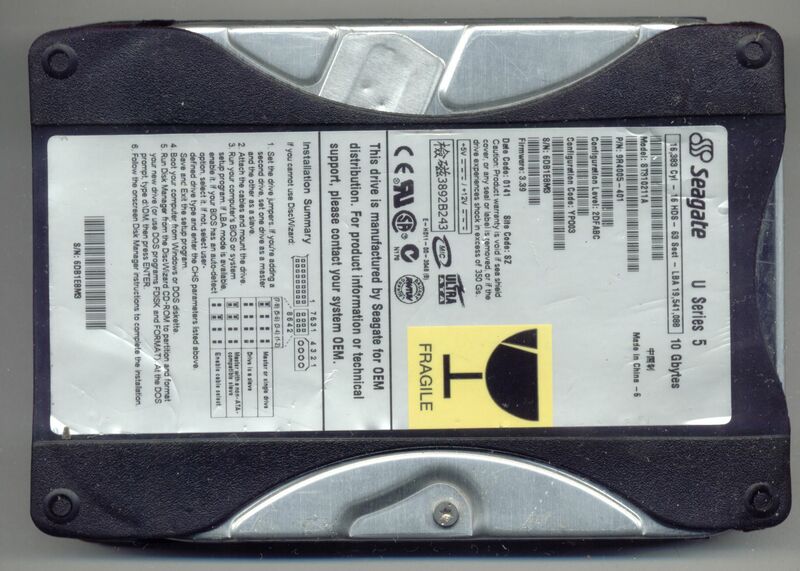 Anyone familiar with hard disks knows that companies have a standard chassis design which hardly ever changes. This drive is not a Maxtor. The shape of the top cover, the location of the printing are all very reminiscent of Quantum's Fireball series. The D740x is actually the Fireball AS (Fireball ST was the standard line, AS was the high-end performance line) but renamed since Maxtor had just bought Quantum. Hence the lack of fluid bearings and the excellent performance, something Quantum had made a name for themselves with. The D740x's secret was its Fireball AS heritage. Quantum took the actuator (voice coil and head assembly) design from their blazing fast SCSI drives and put them into the Fireball AS drives. SCSI drives are bought and sold on exceptional access time and, suddenly, the Quantum Fireball AS could do the same. The D740 was to be the Fireball-60 AS, featuring 40GB (20GB per surface) platters. Produced in the former Quantum facility in Singapore, this modern-looking slimine drive was a mere 20 GB in an era of 60-120 GB drives being the norm. It was an entry-level 5,400 RPM unit, cheap as chips, slow as molasses, used a single 40 GB platter and only the lower surface of it. The upper surface went unused. The Barracuda SATA V series of 7,200 RPM drives was Seagate's mainstream desktop performance drive of 2003, available in 60, 80 and 120 GB capacities, using 30 GB/side platters. 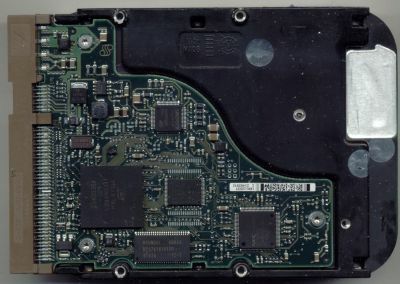 It was also the first widely available SATA drive, although it appears this drive wasn't natively SATA. They were equipped with an 8 MB buffer, quite large for the time (2 and 4 MB were still common). The 60 GB model used just one platter, while the 80 and 120 GB units used two. 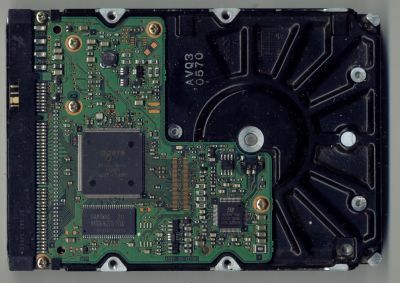 The 80 GB unit had only 3 heads, so one side of a platter went unused, while it also dropped 10 GB of potential storage (three used recording surfaces would be 90 GB, not 80 GB). Performance was quite moderate, 14 ms typical access, 44 MB/s linear read on outer surface dropping to 23 MB/s on the inner. 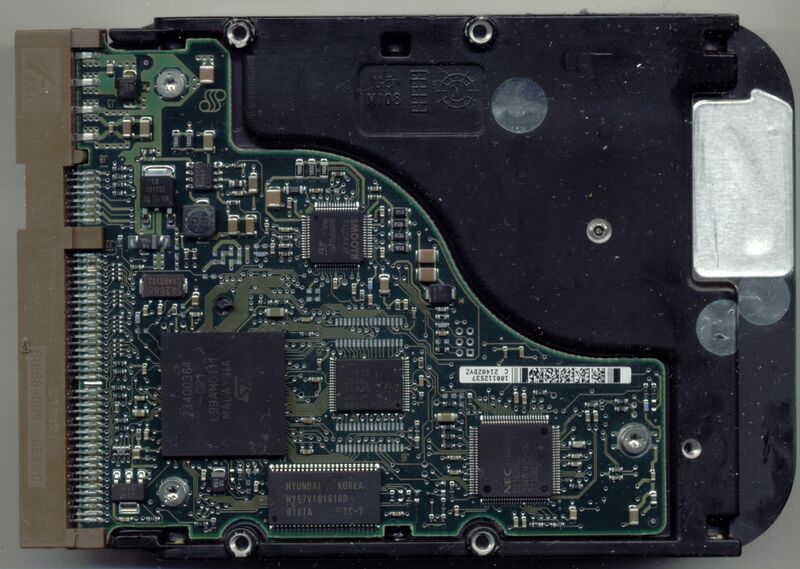 They were significantly problematic on the SATA interface, sometimes due to immature SATA controllers (Silicon Image controllers were anathema to these drives), sometimes due to buggy firmware. They often worked better if Native Command Queueing was disabled. 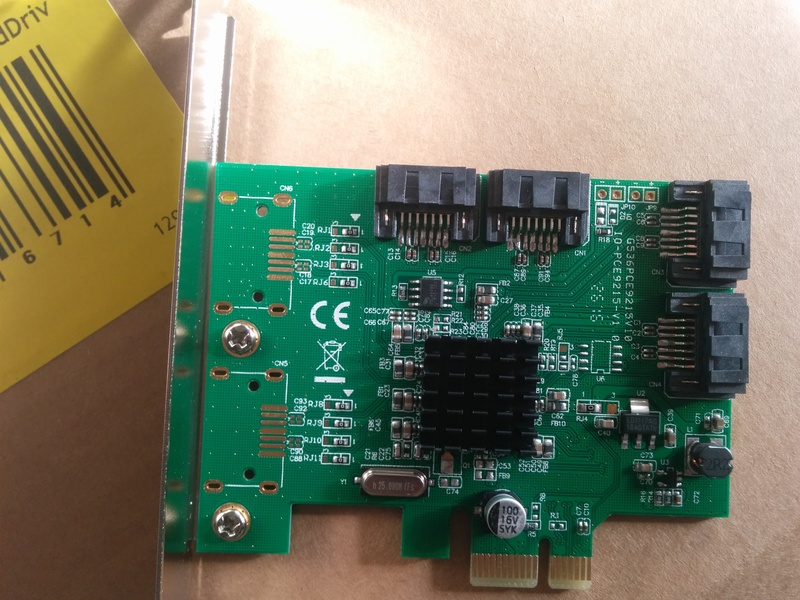 The drive is based around the STMicro 100238949 microcontroller, LSI L282368 Serial ATA adapter (can't find any data on this, looks like it's a SATA to PATA adapter) and the STMicro SMOOTH 100217347 appears to be the motor controller. Buffer and firmware scratch is handled by the Samsung K4S641632F 64 Mbit (1M x 16 bit x 4 banks) SDRAM rated for 6ns operation, or 166 MHz at CL3. This one died without warning around 2012 and so had a good innings of almost ten years (about six of those being power on time). It now sits clicking away, occasionally showing up for half an hour, which enabled much of the data to be copied off. This guy had died in the field and when it arrived here, as a data drive in an Opteron-165 based desktop, it wasn't showing up on the ATA bus at all. The IC35L060 was right as Hitachi bought IBM Global Storage Technologies, so some of them where branded IBM, some branded Hitachi. This weird thing is labelled as IC35L060, but only has 40 GB capacity. The IC35L040 was the 40 GB model! They had a capacity of 20 GB per platter so chances are good that this is a three platter drive with only two of them enabled. Talk about waste! The 60GXP series were a little better than the infamous Deathstar 75GXP, but still a nightmare. I remember looking at it in 2012 and thinking "How the hell is this still working?" because practically all of them failed quickly and early. A design fault in the 75GXP's had them do head crashes, hard, into the recording surface, sometimes actually delaminating it from the glass platter! What actually happened was that the magnetic layer was prone to flake off, then it would impact the head, causing the head (which flew on aerodynamic pressure from the spinning platter) to lose its cushion of air and crash into the platter. I haven't opened this 60GXP to check whether this was the problem or not. It was a shame because, after around 1998, IBM was the global hard disk market leader. IBM pioneered giant magneto-resistive (GMR) heads, IBM pioneered EPRML recording, IBM pioneered glass platters. Since IBM exited the HDD market, in 2002 when the sale to Hitachi was announced, the market stagnated for years. Capacities improved, but performance only rose with areal density. Access time flatlined: The same 10-ish ms access IBM first demonstrated in 1999 is the access time of 2018's 4 TB models. Since IBM, the only real innovations have been perpendicular recording in 2005, which was actually developed at IBM Almaden Research Center, then implemented commercially by Toshiba. 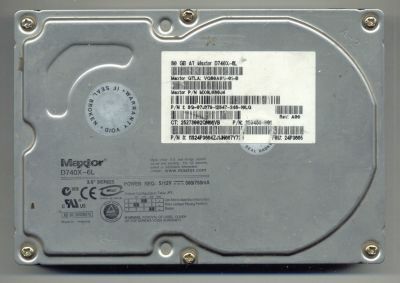 Others were helium filled HDDs, and shingled magnetic recording (SMR). Helium was considered, and seemed to always be "being considered", as early as 1994 at Quantum, but was always rejected: Helium will escape over time, so any HDD relying on it is essentially time-bombed. SMR has been considered obvious by the industry for years before Seagate implemented it. SMR allows a large improvement in platter capacity, but at the cost of very poor write speeds. 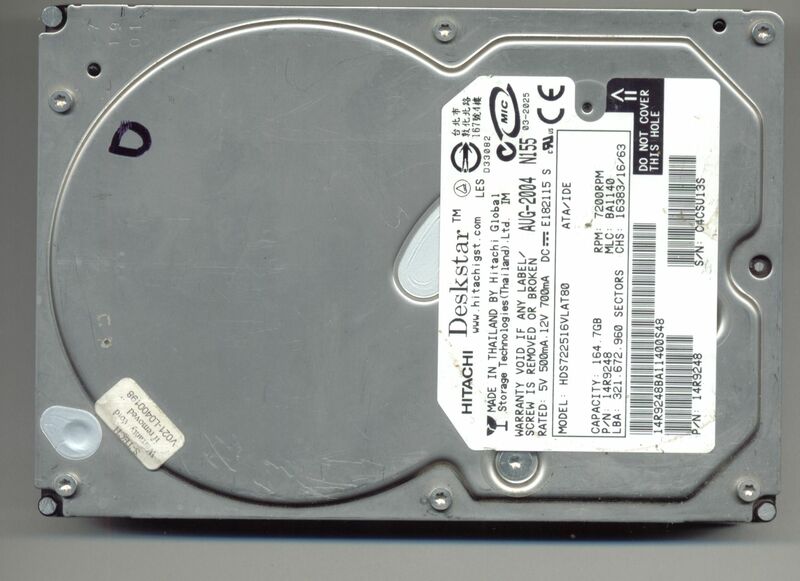 250GB in 2003 was right at the top of the line, and Western Digital knew it. The other WD2500 you're likely to see was the Caviar SE, not this unit. The Caviar SE had a black upper cover, this was just plain metallic silver. There was a WD2500JD model which used a Marvell 88i8030 SATA bridge but was otherwise the same drive. It operated with three 83.3 GB platters, an 8 MB buffer but merely average performance. Maxtor's DiamondMax Plus 9 generally beat it in most tests, but was only available at 160 GB at the time. This series of drives tended to have its firmware chips fail after a few years, resulting in garbled detection in BIOS and general failure to do anything. After the nightmare that was the IBM Deskstar 60 and 75 series, IBM got out of the storage business entirely and sold the division to Hitachi, to become Hitachi Global Storage Technologies. Many expected Hitachi GST to change the series name, but they kept Deskstar, Travelstar, etc. This one, manufactured August 2004, performed exceptionally for three years before being placed into this very server to handle live content. It did so quite happily until early 2010 when it started to lose reliability. It was finally replaced with a 200 GB Seagate SATA drive after six years of constant use in systems which were almost never powered off. Its fault is quite simple: Sometimes it just doesn't spin up and the system doesn't see it. If it does spin up, it works perfectly until the next reboot. This is a common failure mode and is simply due to the motor becoming worn. This is an external hard drive. No, really. I'm not joking. It was a Western Digital MyBook 500. Of course it was just a cheap SATA to USB2.0 bridge and a normal hard disk: This normal hard disk, manufactured on the 11th of November 2007. This one was a few revisions into the SE16's life. The spindle speed was dropped to 5,400 RPM as this was both cheaper and reduced power requirements. 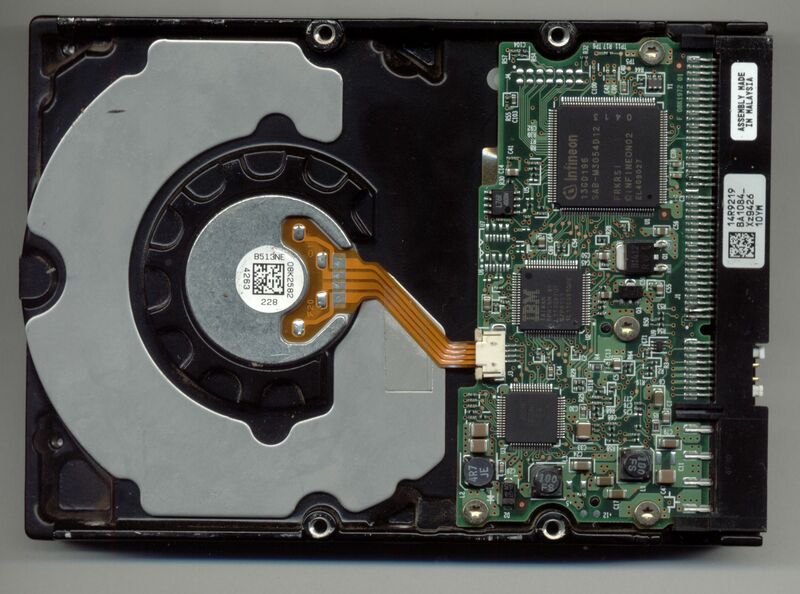 These are important attributes for external hard drives, where the casing offers little room for a fast hard drive to cool itself and performance is hardly important. 16 MB onboard buffer, SATA 150 interface and the origin of the WD Green series as slow, cheap, low power drives. You can see at the bottom the "GreenPower" sticker. The one you see here was liberated from its stuffy enclosure and put on a SATA interface. The drive was never quite happy in the enclosure, it'd just disappear every so often. Outside the enclosure after about a year, the same thing started happening again. It was forgotten about for nearly two years, then put back into a system where it worked for about another 18 months before it again failed - this time seemingly forever. Samsung rapidly became a favourite whenever I needed a HDD in the 2005-2014 timeframe. Sure, Seagate was around the same price, but why would I buy Seagate's big, cheap, slow, when I could have Samsung's big, cheap, fast? This particular drive was a warranty replacement for a dead SpinPoint P120 (SP2514) of 250 GB capacity in PATA. The RMA centre offered a 400 GB SATA, and I'd just upgraded to a SATA-based system. I said "Yes, please." Right now, in October 2018, it has logged 48,301 power on hours, which works out at 2,013 days or five years and six months and is still going strong. There are zero reallocations, zero pending sectors and only a slightly elevated soft read error rate will even hint that this mechanism is practically ancient history. 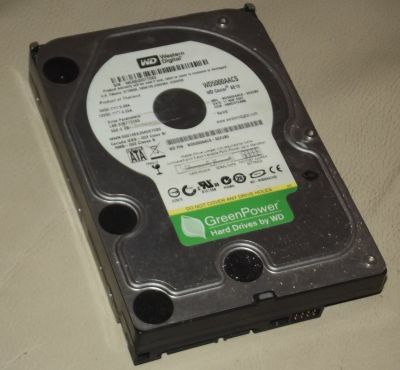 I bought a HP Microserver TL with four of these fitted, they were HP's OEM version of Seagate's retail/OEM ST3250318AS. It was used lightly as a HTPC and media server, with the drives often powered off. Ideal conditions for a hard drive to live forever. Four years later, three of them had died, including this one. The 7200.12 (U12) series used 500 GB platters. This uses just one of them, and only one surface of it, with a mere 8 MB buffer. It's not going to win any performance prizes. 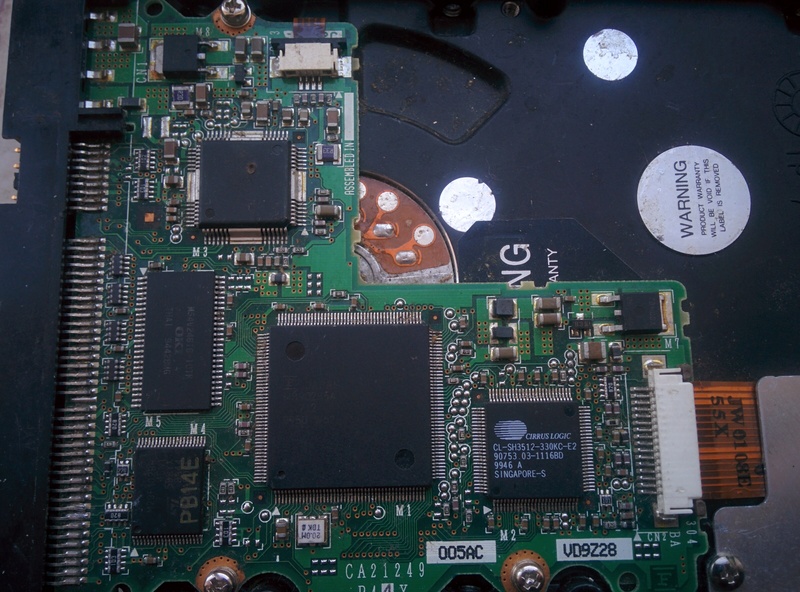 After Seagate had horrific problems with the Barracuda 7200.11 (U11) firmware permanently corrupting, then a firmware update causing the problem it was meant to fix, the 7200.12 series was meant to restore confidence in Seagate's products. It failed to do so. It had WD's quite good (but terribly overpriced, perhaps WD just couldn't make them very well) Caviar Black to deal with, as well as Samsung's exceptional SpinPoint F1 (which was also usually cheaper). It was simply outclassed and turned out to be an unreliable stinker. The performance issues were thanks to poor access time, while the reliability issues were probably Seagate's cost-cutting attempts. Samsung was undercutting everyone with faster, better units. Seagate was trying to keep up with shoddy, poor quality units. It was sad to see the industry's oldest player and so very often its leader stooping so low. Of the "fast, cheap, good", WD was offering "fast, good", Hitachi bounced between "fast, good" and "cheap, good", Seagate was offering "cheap" and Samsung was offering "fast, cheap AND good". Hitachi's 5,940 RPM mechanisms were not bought by anyone for their performance, they were cheap and good, but not fast. Performance drives were all 7,200 RPM (and have been for the last decade as of 2018). With four platters and seven heads (one side was disabled for whatever reason), this was an awful lot of storage in quite a small place in 2012. Hitachi's reliability led me to pick these up whenever Samsung was out of stock. This one was not bought because a Samsung was out of stock. It was bought in 2011 because it was suspiciously cheap: £55 or so. As of October 2018, it has logged 47,795 power on hours, working out to be 1,991 days or five years and five months. It is showing no reallocations, pending sectors or even much seek time or error rate degradation. Samsung was getting out of the HDD business when the SpinPoint F3 was the new and cool thing. It was lightning fast and carried 250 GB/side platters - two of them, and used both sides. As typical for Samsung, it was very cheap, performed very well and, well, was pretty much a no-brainer. SMART data is quite healthy, with 19,501 power-on hours (812 days, 2 years and three months), nothing pending. Unlike most 3.5" desktop drives, this included a shock detector, and October 2018's logging shows that it's experienced mechanical shock 52 times. Dell PERC H310 PERC started life as Performance Enhanced RAID Controller, but is now "PowerEdge RAID Controller". H310 is one of the entry level controllers and can handle SATA and SAS drives. It supports all the usual RAID functions such as JBOD, RAID levels 0, 1, 5, 10 and 50, can handle 32 drives (16 per RAID volume or 32 individual) and supports pass-through operation. Now Dell doesn't actually manufacture any hardware itself, so who actually made this controller, and what is it? Under the heatsink resides an LSI Logic MegaRAID SAS2008 controller, a very powerful storage controller. This guy came out of a Dell Precision T5600 workstation, which was criminally under-utilised. It had one 10K 600 GB drive, one (of a potential two) Intel Xeon CPUs and 16 GB registered ECC memory. The PERC H310 comes with IR (RAID mode) mode firmware, and it's usually a better choice for the home NAS builder to flash it to IT (target device) mode. Dell has this firmware on its site. SSDs completely changed the storage market. While early SSDs had problems with their garbage collect and firmware (and Intel's were actually time-bombed to self-destruct after a set period! ), they were still incredibly more responsive than HDDs were. Swapping a HDD to an SSD was such a game changer of performance, it probably eclipses the first dual-core CPUs in how immediately noticeable the difference was. They put small, short-stroked, high power 10K HDDs like Seagate's Cheetah and WD's VelociRaptor completely out of the market. In 2012, a 250 GB WD VelociRaptor could sustain around 190 MB/s transfer, and around 141 sustained random IOPS (I/O operations per second). The earliest of SSDs could sustain 250 MB/s and handle 1,000 IOPS. By 2014, SSDs were saturating the SATA-III bus at 500MB/s and topping 50,000 IOPS. We'll use CrystalDiskmark (3.0.3, x64) to demonstrate just what even this relatively old SSD can do, against a modern fast HDD, a Toshiba P300 2TB (with AAM disabled) and a few others around the workshop. All units in megabytes per second. Sequential reads are a HDD's strongest suit, and it was five times slower than the SSD. The 512K random reads, not a worst case for a HDD and quite similar to how applications and games load, was thirteen times slower on the HDD. 4K random reads, a worst-case for a HDD but commonly found when "disk thrashing", was [b]seventy[/b] times slower: Even the very, very fastest HDDs cannot reach 2 MB/s in this test. 1 MB/s is considered to be an excellent result for a HDD in 4K random reads. 4K random reads with a 32-request queue (queue-depth 32) was 189 times slower on the HDD. Such a deep queue is a pathological case, but shows that even a HDD's command queue optimisation cannot help it dig out of this level of hole. SSDs can use multiple parallel flash RAM channels and here we see the Samsung 850EVO doing just that in the 4K QD32 test. When your large video card fouls SATA slots, but you need them for hard drives, you add in a PCI Express card. This one is based on the Marvell 88SE9215 PCIe SATA-III controller, which is built on a 55 nm CMOS process (probably at TSMC) and has one PCIe 2.0 lane. It can be addressed via standard IDE or AHCI interfaces. Marvell's datasheet gives information on the 88SE9215 controller, which appears to be pin-compatible with the two-port 88SE9125 and other members of the 912x and 92xx family. Despite provision on the board, it appears that none of them had support for six SATA ports. It's more probable that the upper two ports can be redirected via optional component placement to the rear positions at the time of manufacture. The components at positions RJ1, RJ2, RJ3, RJ6, RJ8, RJ9, RJ10 and RJ11 can be shifted over one place to enable these ports, or placed as they are to tie the lines to ground. The heatsink is only just necessary, as the 88SE9215 is rated to only 1.0 watts. The date code on this card gives the manufacture as Week 26, 2016.